Do you want to “lose 7lbs in just one week?” If the answer is “Yes,” the 7 Day Fat Burner could be the right pill for you – but for its hype! The 7 Day Fat Burner, or 7-DFB for short, comes from the other side of the Atlantic where consumers are more open to new products and not as doubtful about exaggerated claims as dieters in the UK. Despite the fact that the 7-DFB does not seem to have anything exceptional to offer, it has become very popular in the USA, together with two other similar slimming products, the 72 Hour Diet Pill and the 365 Day Diet Pill. 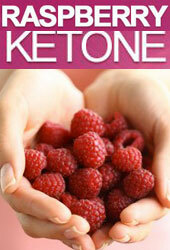 But these slimming supplements are not the only ones to claim that they have “something special” to offer. Orovo and Lipovox also fall into the same category of products with too many promises. Moreover, 7-DFB is advertised as a detox product, which will help cleanse your body from harmful toxins that have accumulated over time. The 7-DFB contains a large number of natural ingredients such as Apple Cider Vinegar, Burdock Root, Dandelion Root, Uva Ursi, Cranberry and Fennel Seed, that have diuretic results. This makes dieters go to the toilet more often, and because they lose too much water they are led into thinking that the pill has helped their body burn its excess fat. As a general rule, dieters should be cautious when slimming supplements contain too many ingredients. The list of the 35 ingredients this diet pill contains is rather too long! However, most of these ingredients are considered to be more effective for cleansing the body than helping with weight loss. On the other hand, Acai Berry, Alfalfa, Juniper Berry and Flaxseed, which are considered as “Super-foods” and could be effective as fat burners, are so much diluted by the other ingredients, that it is highly unlikely to help you lose weight successfully. Does 7-DFB Cause Side Effects? Since 7-DFB is 100% herbal based, and the quantity of each ingredient is rather small, the pill is not likely to cause any serious side effects if taken according to instructions. One such important instruction is to drink plenty of water to prevent dehydration symptoms because of the diuretic effects of the pill. Another reported side effect is loose bowel movements, but its most serious side effect is that the product cannot prove successful in helping you burn fat and lose weight. Because the pill works mostly like a powerful diuretic, most dieters manage to lose some weight successfully, but this weight loss has to do with water and not the excess, stored fat of the body. Consequently, there are several positive reviews from pleased dieters during the first weeks they use the product, but when they stop it, they regain weight rapidly. What do Dieters Say about 7-DFB? 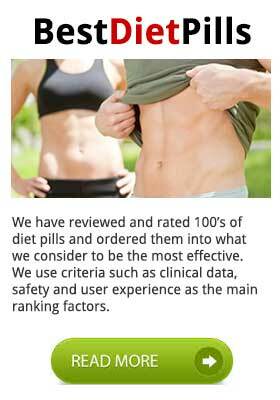 Apart from the official site of the product, there are several other websites with diet pill reviews where you can find several comments and testimonials on 7-DFB. We noticed that there are a lot of positive testimonials on the official website, but the ones on other sites are less enthusiastic or positive. One other weak point is that communication with the company is not always easy. That means that customers may find it difficult to ask for a refund, as the product comes with a money-back guarantee. 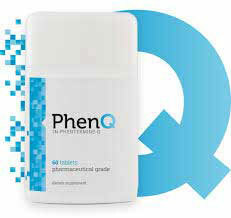 PhenQ is the successful, 100% legal substitute of the banned Phentermine which guarantees FAST and SAFE results.